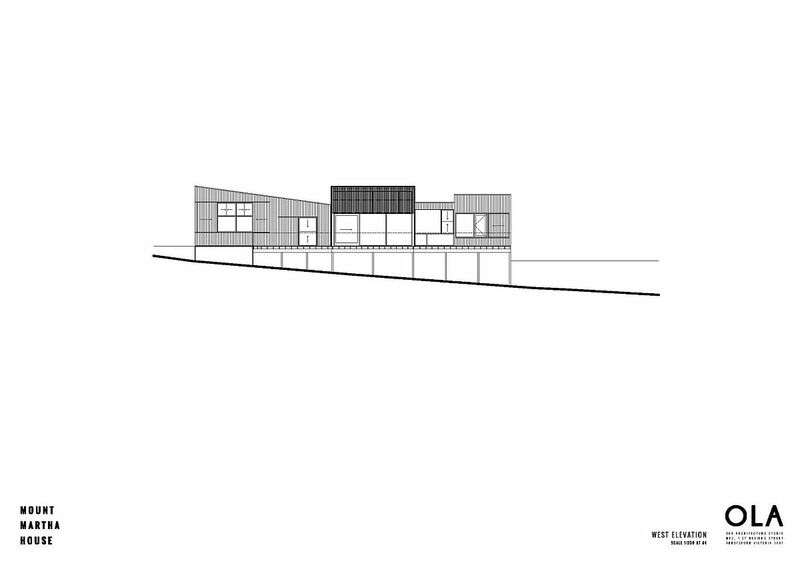 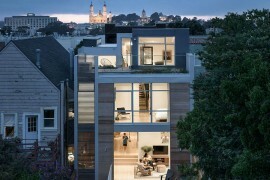 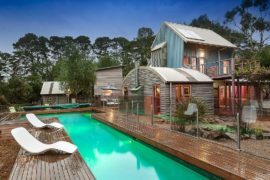 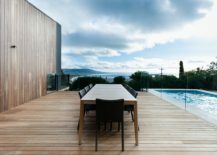 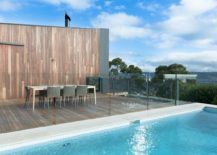 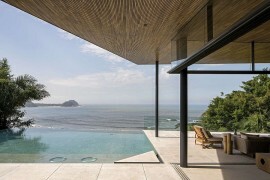 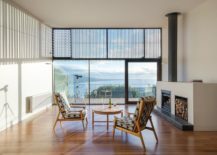 Modern beach homes have come a long way from their humble background, when they were just shabbily made holiday retreats that promised little in terms of luxury. 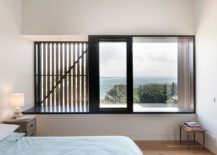 Today a beach house combines contemporary comfort and aesthetics with the alluring charm of waves and sand outside the window in a seamless and mesmerizing fashion. 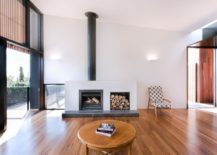 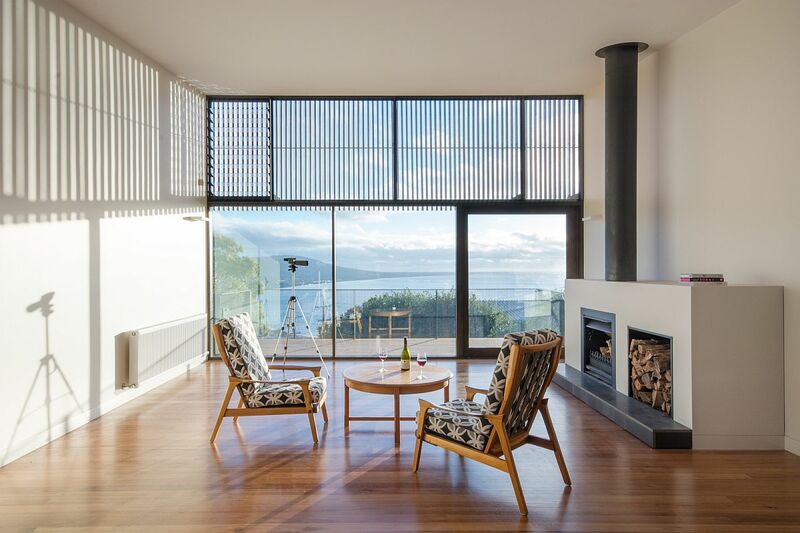 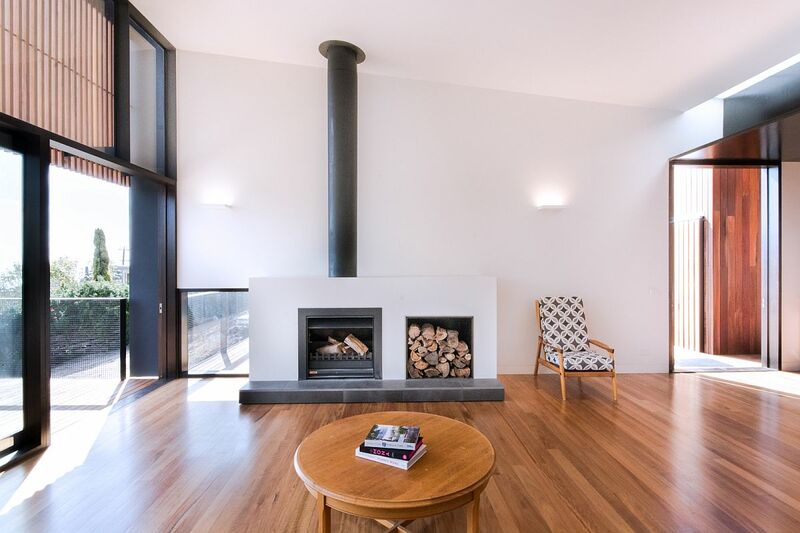 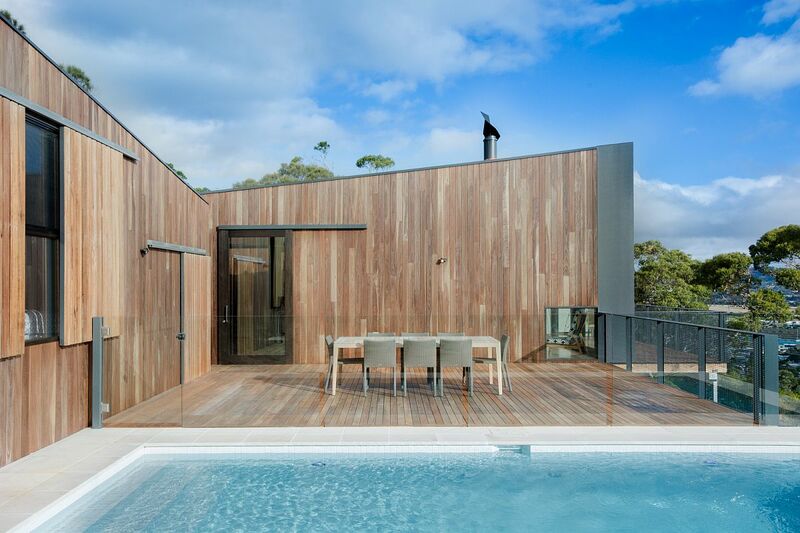 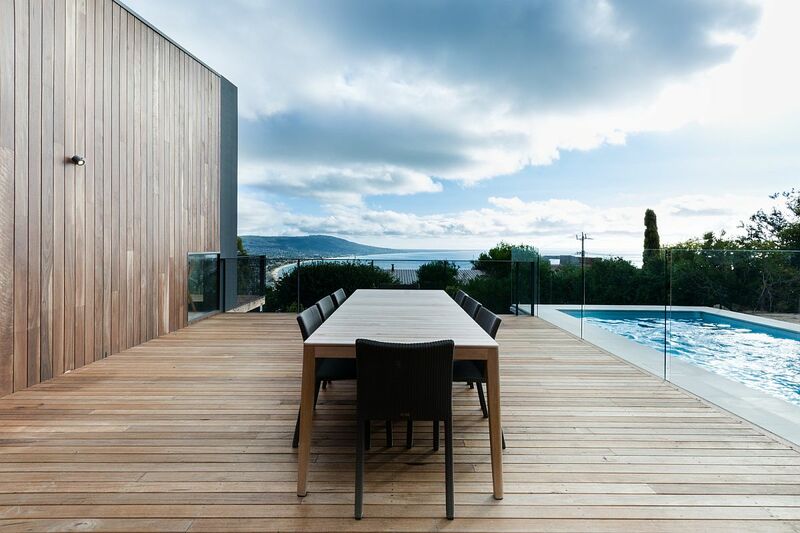 Mount Martha House is one such delightful beachside family escape that seems both inviting and refined, thanks to the striking fusion of locally sourced timber hardwood with modernity by Ola Studio. 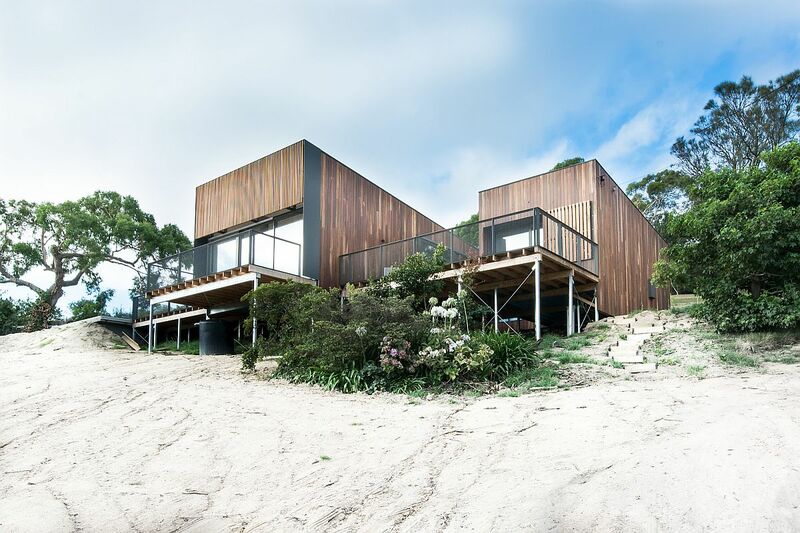 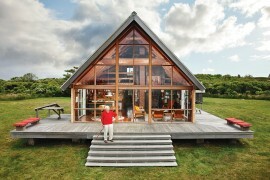 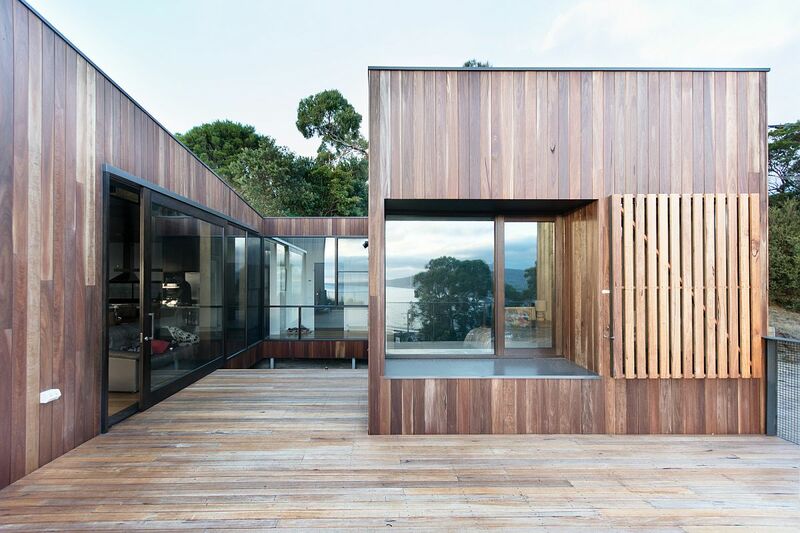 Overlooking the beautiful coastline of Victoria, this Aussie home seems to float effortlessly above the beach, even as large windows connect it with the view on offer. 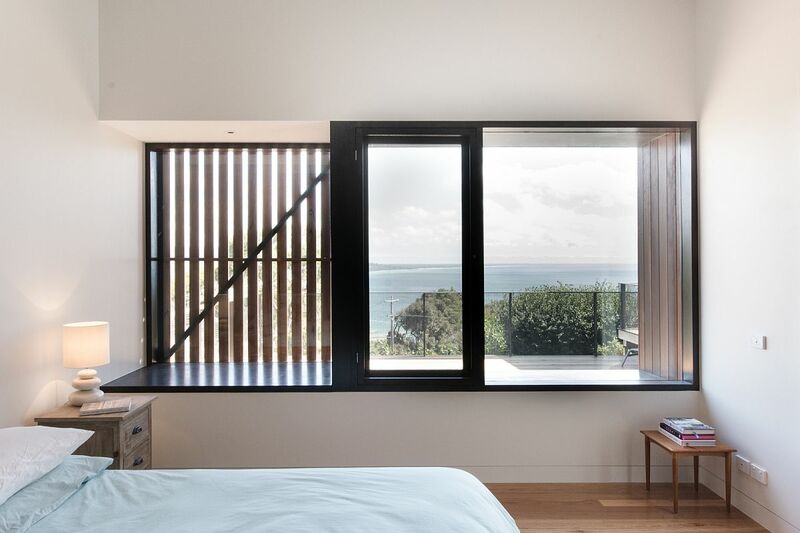 The extensive use of operable timber shutters was much more than a style choice, as these smart shutters allowed the homeowners to easily switch between complete privacy, unabated ocean views and an intermediate stage that offers a bit of both along with filtered sunlight. 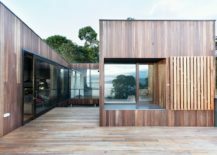 They also protect the beach house from rough coastal weather and offer a protective covering for the large glass windows and the interior. 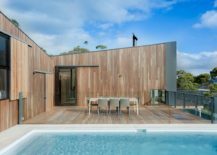 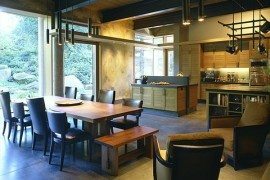 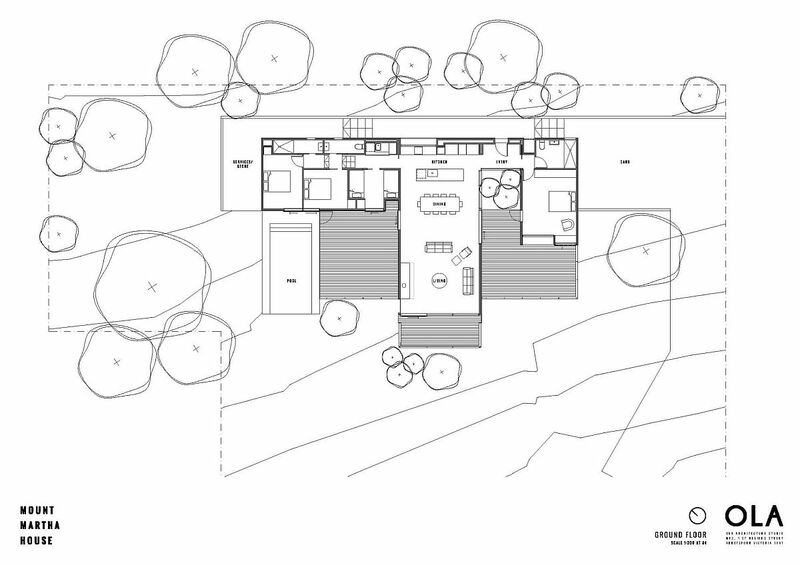 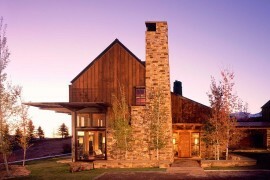 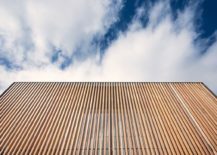 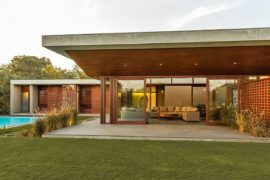 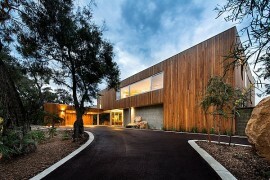 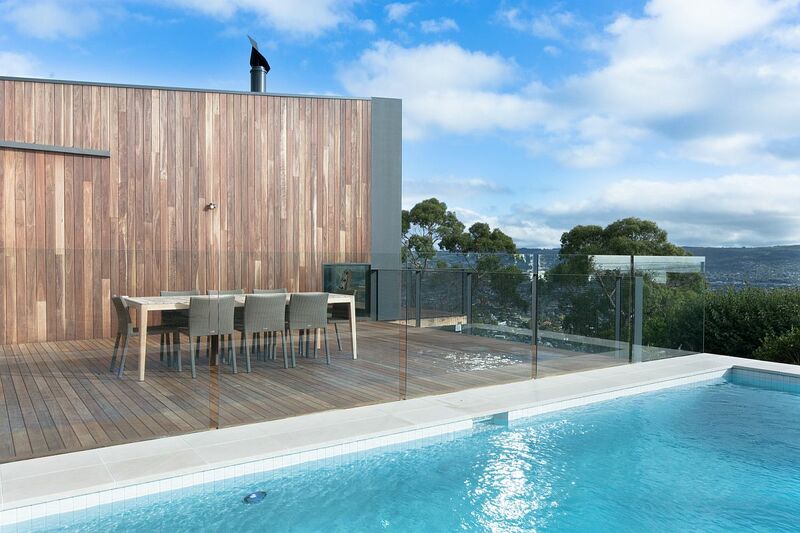 On the inside, it is timber that still holds sway, even as the entire house is divided into three distinct zones – the parents’ retreat, the kids’ rooms and the common living area that overlooks the pool and wooden deck.